I was so happy to be part of Joanna Goddard’s ‘A cup of Jo‘ best recipes series again this week. I hope it contributed to a few Thanksgiving meals! 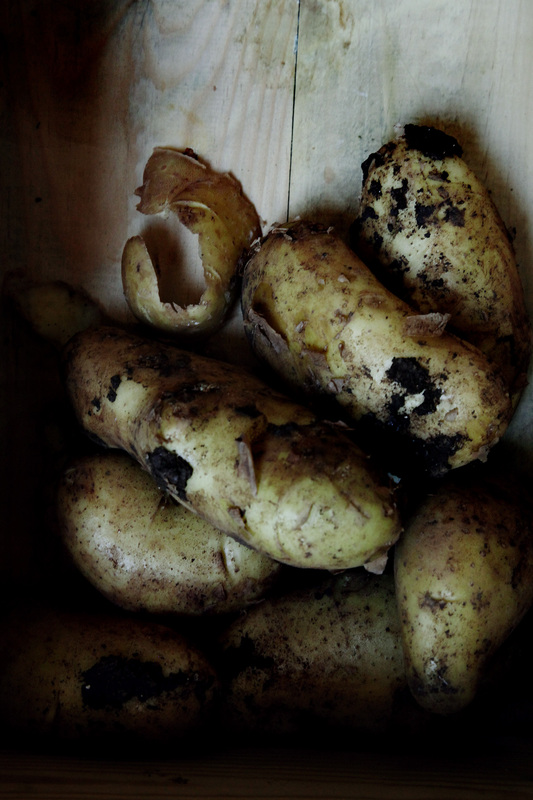 Here’s ‘The Best Mashed Potatoes You’ll Ever Have’ as featured on ‘A cup of Jo‘. 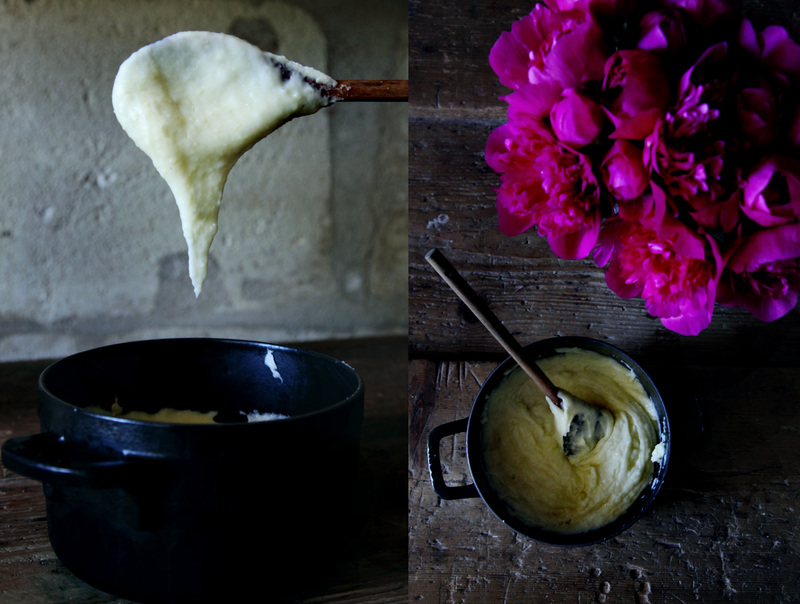 Aligot is a traditional mashed potato dish from the Aubrac region in France. They’re the best mashed potatoes I’ve ever had—the melted cheese is so rich in texture. Combined with garlic and crème fraîche, aligot is the star of all side dishes. The mash is so thick, forming ribbons of cheesy strands on your plate—it is quite an experience for any cheese lover. Tomme de Laguiole cheese is traditionally used for this dish; however, it’s not always easy to find. You can substitute this cheese with Cantal, Lancashire or Cheddar. Serve aligot with a juicy steak and a smashing glass of Bordeaux red wine. Satisfaction guaranteed! 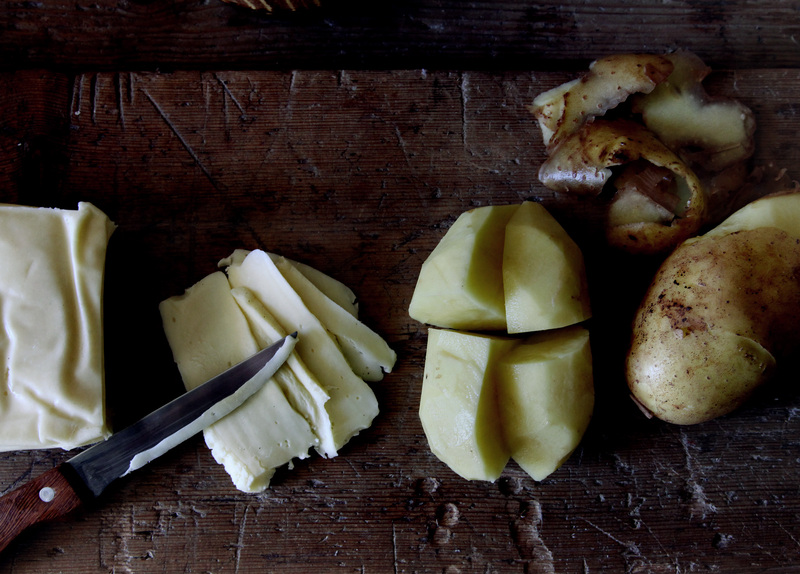 Cook the chunks of potato in salted boiling water for 20 minutes, or until tender. Mash the potatoes with a potato masher. When properly mashed, place the potatoes in a large pan and start the heat on low, stirring for 2 minutes to ‘dry up’ the mash. Take off the heat, and add the butter one square at a time, stirring in a circular motion. Gradually add the warm milk to smooth the potatoes, continuing to stir. Place the pan back on a low heat, and add the finely sliced cheese, minced garlic, crème fraîche, salt and pepper. You should be constantly stirring in a circular motion, lifting the spoon high so you get a nice ribbon-like effect, as if you were pulling strings with your spoon. Continue this process for up to ten minutes, or until all the cheese has melted. 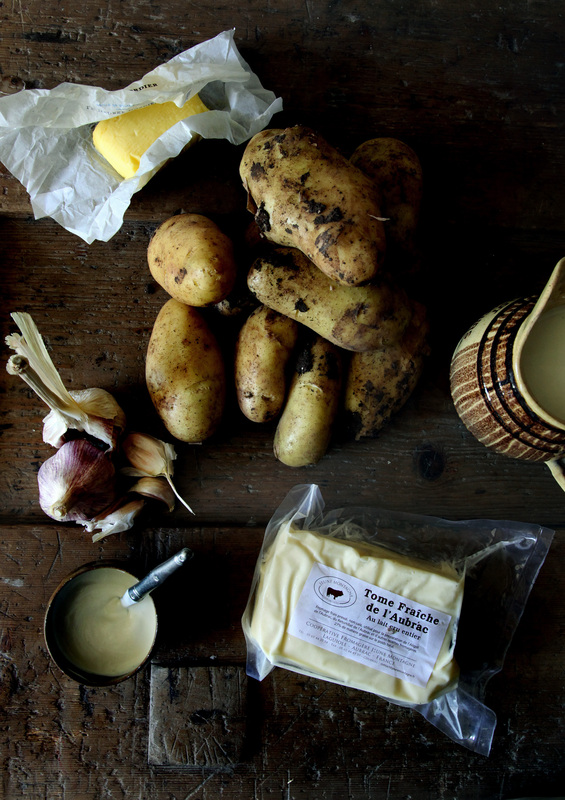 When the cheese has melted perfectly, your aligot purée is ready! Voilà, c’est prêt! Serve immediately.